First point of contact for the bank; offering administrative support across the organization, welcoming, guests and greeting people who visit the business. This role will also coordinate front-desk activities, including distributing correspondence and redirecting phone calls. Occasionally assist the Records Management Officer and the Dispatch Clerk in distributing incoming mails and ensure that official mails are date stamped. Download email enquiries addressed to the general email, and respond or forward to relevant staff members as appropriate. Prepare monthly allocation list for all telephone bills, newspapers and couriers and allocate cost per department/branch for accounting purposes and attach to invoices for payment. Request on time the replenishment of stationery stock from the Manager Administration. Administrative/Secretarial Diploma from a recognized institution. 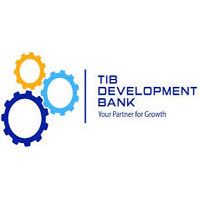 TIB Corporate Bank Limited is an equal opportunity employer. The bank offers competitive remuneration package, career development opportunities and conducive working environment. Please ensure that you mention mabumbe.com as the source of this job advertisement. Contact address including telephone number(s) and/or email address(s) if available. P.O. Box 9102, Dar es Salaam.